Maybe I do like cupcakes…. 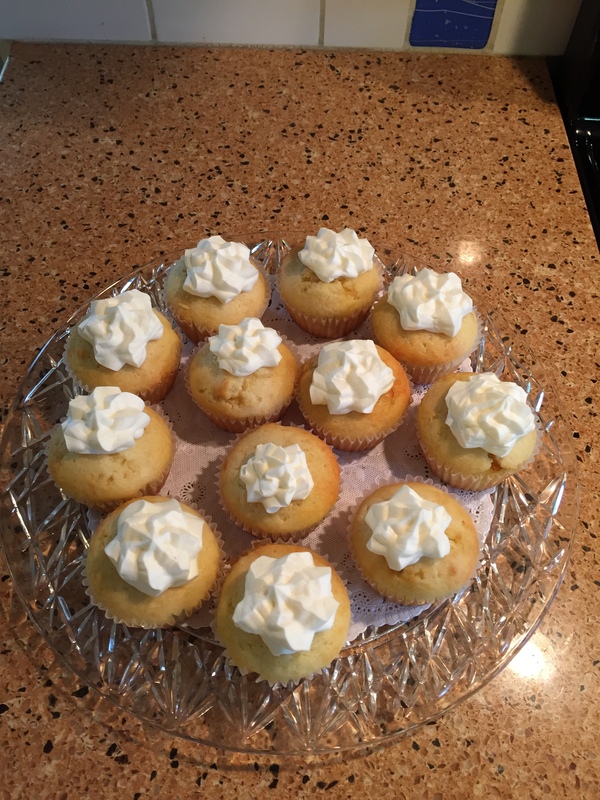 This week’s dessert is taken right from her pages, Limoncello Cupcakes. I think they look just like the picture! And, may I say, they were as delicious as they looked. Everyone particularly enjoyed the surprise of marmalade in the center!